Just announced! The Daedalus, a new distance driver for humans who want to soar with gods. 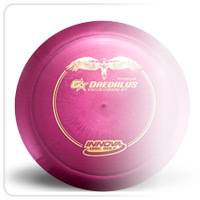 The Daedalus has wings to fly far down the fairway. Click “Read More” to enter. WINNERS PICKED! The INNOVA Daedalus is a new maximum downwind distance driver crafted for less powerful players. The disc will double as a long distance roller for more advanced players. The INNOVA Daedalus will be available in GStar plastic and is initially rated 13|6|-4|2. The Daedalus likes to be thrown low. Make sure it doesn’t soar too close to the sun. The Daedalus is shipping to dealers next week. Don’t miss out on your chance to win one here first! 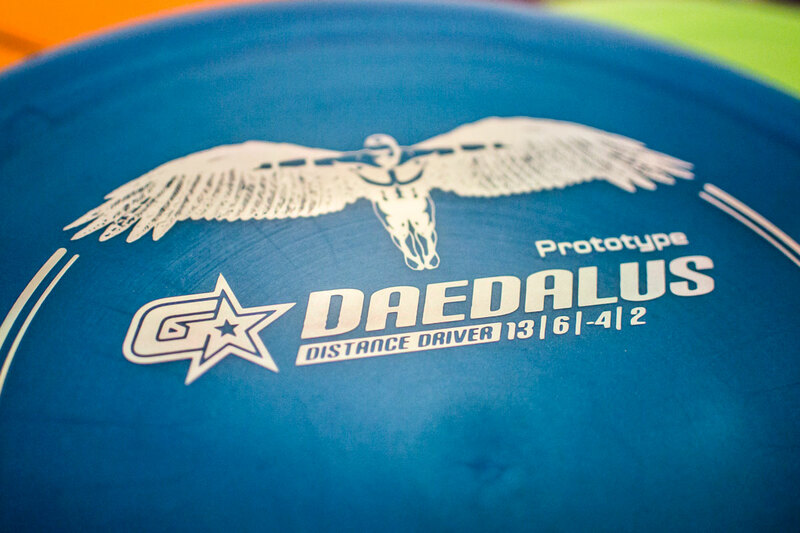 Ten lucky fans will each win a limited edition Prototype Daedalus. For your chance to win, use the widget below with your favorite social network (or all three) to enter. Entry into the contest ends on 4/15/2014 at 12:01am Pacific Time. This post will be updated with the winners on the morning of 4/15/2014. Good Luck Everyone!